On the Brink of Another World War? Could the disaster that fell upon Malaysia Airlines flight MH17 trigger a major global war after dozens of innocent lives, who definitely had nothing to do with the tensions ongoing between Ukraine and Russia, were lost? Leaders from Malaysia, Australia, New Zealand, the UN and the U.S. have called for a full-blown investigation in the disastrous accident even as US intelligence authorities said a surface-to-air missile was what downed the Malaysia Airlines flight MH17 commercial passenger jet. "There is clearly a need for a full and transparent international investigation," UN Secretary-General Ban Ki-moon said. Suffice to say, the U.S. may consider this unfortunate event as the time it has to step in and take aggressive action to stop the fighting in Ukraine. U.S. President Obama could be forced to send more advanced arms to Ukraine's security forces, as well as train them. "This will undermine the case of those who have been reluctant," an unidentified U.S. official told Reuters. What happened on Thursday, the official said, "could go two ways." It could make countries pause and review the seemingly escalating danger of the Ukraine conflict, or force them to join into the fray and "put their heads in the sand." European flight safety body Eurocontrol on Thursday said it had received an advisory from Ukrainian authorities declaring the country's east portion as a no-fly zone after a Malaysian airliner with 295 onboard crashed in the region. An intercepted series of phone conversations between Russian separatists said Malaysia Airlines flight MH17 has no business flying over Ukrainian airspace, unless it was carrying spies. Eurocontrol had explained that while Ukrainian authorities had closed the route from ground to flight level 320, the doomed Malaysia Airlines flight MH17 was flying at Flight Level 330 (approximately 10,000 metres/33,000 feet) when it disappeared from the radar. The level at which the aircraft was flying was therefore open, it added. It was believed pilots of the doomed Malaysia Airlines flight MH17 opted to fly above Ukraine airspace to save on fuel. "Flights over troubled regions are very common," Dave Powell, dean of Western Michigan University's College of Aviation and a retired Boeing 777 captain at United Airlines, told International Business Times U.S. "Both governments and airlines take a look at the threats out there, of course. But when you're trying to save money and competing against everyone else, my guess is, everybody is doing that kind of routing." Eurocontrol said that since the crash, Ukrainian airspace is now closed from the ground to unlimited (altitude) in Eastern Ukraine. "The routes will remain closed until further notice." I must admit, the first thing that came to my mind upon hearing of this tragedy was why would any commercial airline fly over that airspace? One of my friends said it best: "What imbecile plotted this flight path?!?" Lange, 59, was among what is thought to be dozens of AIDS researchers, consultants and policy experts headed from the Netherlands to Malaysia and onward to an international AIDS conference in Australia when their Boeing 777 plane appeared to have been blown out of the sky Thursday over the battlefields of eastern Ukraine's separatist insurgency. Now the blame game has commenced. The U.S. and its allies accused Russian-aided separatists of firing the missile that downed Malaysia Airlines Flight 17, killing 298 people and demanded that Moscow end months of unrest in eastern Ukraine. As I do every Sunday, I watched ABC's This Week and Fareed Zakaria GPS. Almost unanimously, everyone blamed Putin and the Kremlin for this tragedy. One guest, however, set the record straight. Stephen Cohen, professor emeritus of Russian studies and politics at New York University and Princeton University, took on Fareed Zakaria and Chrystia Freedland, who is now an MP for Canada's Liberal Party, saying they and the media fail to understand the context of the crisis in Ukraine. Cohen wrote an excellent article for The Nation, The Silence of American Hawks About Kiev’s Atrocities, and along with Katrina vandel Hewell, has questioned the media establishment's blind acceptance of the Obama Administration's new Cold War, further isolating Russia. Leaving aside the rather elementary fact that sanctions hardly ever change the behavior of the regimes at which they are aimed, consider this counterfactual: What if Mr. Obama had not announced a new round of sanctions against Russia on July 16? It is entirely possible that the murderous recklessness of the pro-Russian forces would have given Mr. Putin sufficient cover from his increasingly vocal right flank—who have been calling for greater Russian involvement, if not an outright invasion—to break with the rebels. What the July 16 sanctions announcement has done is effectively block the off-ramp. Yet the idea that sanctions may be counterproductive never seems to dawn on our establishment elites. Meanwhile the war hawks in Congress are eagerly chomping at the bit to retaliate, with their leader, Senator John McCain, promising there would “be hell to pay” if the Malaysian airliner was shot down by the Russian military or separatists. One can’t help but wonder: hasn’t there been hell enough? MH17 is an alarming escalation of the Ukraine conflict. In the wake of a surface-to-air missile taking down a Malaysian airliner over Eastern Ukraine, everyone is pointing fingers. Kiev blames the pro-Russian “terrorists,” with Moscow responsible for providing them with intelligence and weapons. The separatists deny involvement and accuse Kiev of planning the attack, citing the Ukrainian military’s accidental shooting of a Siberian Airlines flight in 2001. Moscow blames the Ukrainian government for pushing the rebels into this violent situation — even if Russian President Vladimir Putin stopped short of pinning the airliner attack on Kiev. Despite the confusion, it’s clear what MH17 means: dramatic escalation and an even more combustible conflict. Some analysts and pundits are viewing the downed flight as an opportunity to force Putin into tempering his support for the separatists. While clearer proof of pro-Russian separatist guilt does, in principle, provide the Russians with a reason to do so, it’s highly unlikely that Russia will seize the chance. 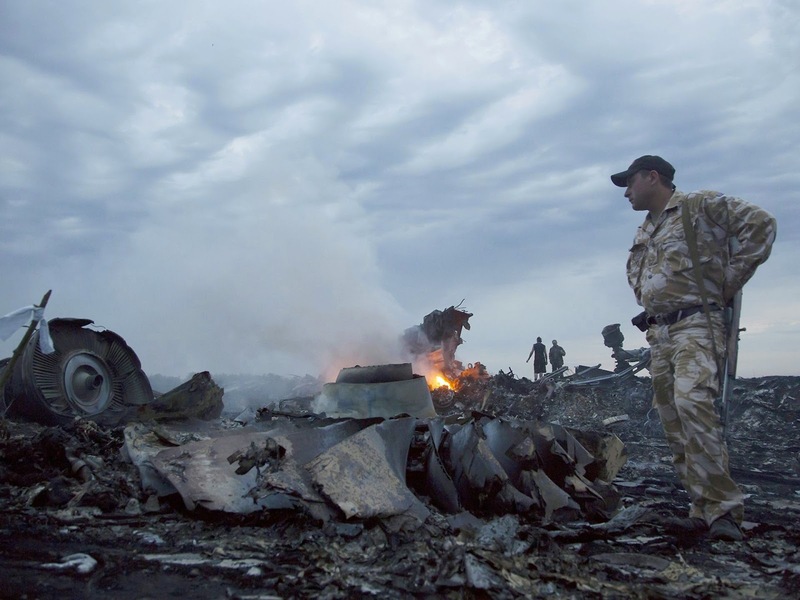 The underlying fissures have not gone away — in fact, MH17 makes them even more pronounced. Putin continues to view his country’s influence over Ukraine and the power to keep it from joining NATO as a national security interest of the highest order — the same way Israel wants to deter Iran from obtaining a nuclear weapon. Recent events haven’t shifted Putin’s interests in the slightest. In fact, the three biggest changes coming out of the MH17 crash point to more escalation. First, Putin’s statements blaming the Ukrainians will be exceedingly difficult to back away from. It’s not yet clear whether Russia will accept that separatists shot down the plane or instead deny, obfuscate and even refute the evidence. But either way, Moscow will maintain its claim that the Ukrainian government is responsible for driving the violence and destabilising the region where the plane crashed. Moscow will leverage its state media to promote this message. Second, with proof that pro-Russian separatists are to blame, we will see a material ramp-up in sanctions from both Europe and the United States — and on an accelerated schedule. German Chancellor Angela Merkel is out in front of the story, declaring early Friday that “Russia is responsible for what is happening in Ukraine at the moment.” Meanwhile, the United States would forge ahead, broadening financial, energy and possibly other sector sanctions against Russia. These increases will amount to an escalation, rather than a redirection, of the conflict. The sanctions would have a real impact on Russia’s economy and investor sentiment — existing sanctions already do — but it’s highly unlikely that they would shift Putin’s calculus in Ukraine. Lastly, MH17 gives Ukrainian President Petro Poroshenko more robust international support and more sympathy for his military campaign against the separatists, which has been moderately successful over the past few weeks. Now that he’s claimed that the “terrorists” are behind the attack, he has a responsibility to crack down on them further. He’ll likely make a more concerted push into rebel strongholds Donetsk and Luhansk. But this is going to be a bloody and uphill struggle — MH17 won’t change much on the battlefield, where urban house-to-house fighting will not proceed as cleanly as Poroshenko’s previous operations. We’re most likely heading to a standoff, amidst prolonged violence and shorter tempers on all sides. The downing of MH17 is not as much a sharp turn in the Ukraine conflict as it is an acceleration — shining an international spotlight on this deepening crisis. Below, U.S. Secretary of State John Kerry appeared on ABC's this Week discussing the crisis in the Middle East and Ukraine. Also, Stephen Cohen, professor emeritus of Russian studies and politics at New York University and Princeton University, appeared on Democracy Now discussing how the downed Malaysian plane raises the risks of war between Russia and the West. Lastly, Europe is the loser here and China is the big winner, says Ian Bremmer, Eurasia Group president, sharing his thoughts on the ripple effects of the crisis in Ukraine and the shooting down of Flight MH17. A Revolt Against Hedge Funds? Is Israel Losing a War It's Winning? Will Higher or Lower Rates Hurt Pensions? Co-investments Entering Hedge Fund Arena? Banks Aid Hedge Funds Avoid Taxes? CalSTRS Takes CPPIB to School? Tricky Gimmick Funding U.S. Highways? Japan's Private Pensions Eying More Risk? Prepare For Another Stock Market Crash? 2014’s Hedge Fund Winners and Losers? All Eyes on Stockton, California? Private Equity's Trillion Dollar Hole? The Return of Subprime Debt? Blackstone's New Big Swinging Hedge Fund? Betting on the U.S. Real Estate Recovery?